A "double agent" cheek brush with short and dense fibres for the perfect blending and contouring of blush. Features a combination of 50/50 fibres to deliver two unique results on skin: One side provides a soft, diffused look, while the other fuses colour onto skin for a polished, luminous complexion. 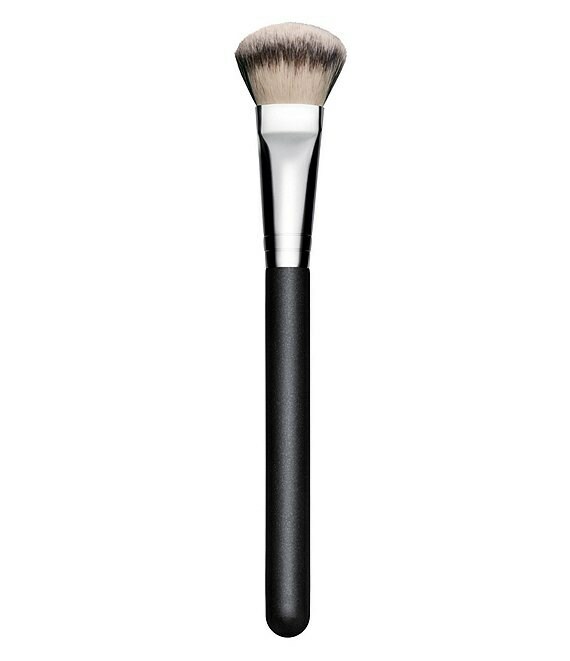 The ideal cheek brush for Studio Sculpt powders. MAC professional brushes are hand-sculpted and assembled using the finest quality materials. MAC's 100% synthetic brushes incorporate the latest innovations in fibre technology for superior performance and improved longevity.